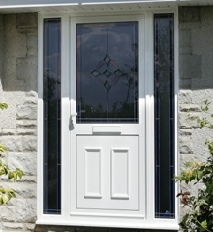 Aluminium doors have dramatically improved in style, performance and security over the years. Our aluminium door range includes residential, commercial, patio and bi-fold designs to meet the needs of any of your customers. Our choice of aluminium frames, including flat and Ovolo profile details will allow you to match existing building features and complement the character of any property.